Zola visited Ramallah and interviewed Hanan Ashrawi, considered by some to be the Darth Vader of Palestinian spokespeople. She eloquently articulated the Palestinians’ best arguments for being the true owners of Israel. Subsequent review sessions with two scholarly Arab Christians, journalist Joseph Farah and Professor Ergun Caner, unveil the fallacies in her assertions. This one-hour duo could be the ultimate crash course on credibly and diplomatically asserting Israel’s right to her land. 00:10 BRETHREN, MY HEART'S DESIRE AND PRAYER TO GOD FOR ISRAEL IS THAT THEY MIGHT BE SAVED. 00:15 THERE IS NO DIFFERENCE BETWEEN THE JEW AND THE GENTILE. 00:36 ON OUR PAST TRIP TO ISRAEL WE HAD A RATHER EXCITING ADVENTURE. 00:47 TO THE CHECKPOINT AT RAMALLAH AND MEET A FRIENDLY PALESTINIAN TV CREW. 00:53 THEY WERE FRIENDLY AND PROFESSIONAL. 01:07 WHO IS A MAJOR SPOKESMAN FOR THE PLO, THE PALESTINIAN AUTHORITY. 01:12 SHE WAS A MEMBER OF THEIR NATIONAL PARLIAMENT AND SO FORTH. 01:17 SHE'S A VERY OUTSPOKEN CRITIC OF ISRAEL, ONE OF THE IMPORTANT VOICES IN THIS ONGOING CONTROVERSY. 01:25 WE TOOK THEM UP ON IT. WE CROSSED THROUGH THE CHECKPOINT. 01:30 IT WAS RATHER TENSE AND PRESSURESOME. 01:33 WE MET WITH MRS. ASHRAWI. SHE TALKED TO ME. 01:39 IT'S JUST HER POINT OF VIEW, OBVIOUSLY. 01:43 IN SOME WAYS I FOUND MYSELF DISAGREEING WITH HER CHARACTERIZING THINGS. 01:50 I KNEW THAT WOULD PROBABLY BE THE CASE, BUT I DIDN'T WANT TO COMMENT PERSONALLY. 01:55 I DIDN'T WANT IT TO BE ZOLA VERSUS DR. ASHRAWI. 01:59 WE HAVE FRIENDS OVER HERE WHO ARE ARAB-CHRISTIANS. SHE'S AN ARAB-CHRISTIAN. 02:15 AND THAT IS DR. ERGUN CANER, WHO IS A PROFESSOR AT CRISWELL COLLEGE. 02:19 HE'S BEEN ON OUR PROGRAM BEFORE, AND JOSEPH FARAH, A JOURNALIST. 02:28 ONE OF THE LARGEST NEWS PAGES ON THE COMPUTER. IT'S VERY IMPORTANT. 02:33 HE ALSO IS AN ARAB-CHRISTIAN. 02:36 WHAT WE DID WAS TAKE THE POINTS SHE MADE AND GIVE THEM TO DR. CANER AND TO JOSEPH FARAH AND LET THEM COMMENT. 02:42 WE'LL LET YOU BE THE JUDGE. WE STARTED THIS WAY. 02:49 DR. ASHRAWI, I REALLY APPRECIATE YOU TAKING TIME TO TALK WITH US THIS MORNING. 02:54 MY PLEASURE. CALL ME HANAN, PLEASE. 02:55 HANAN, I WILL. I KNOW YOU'RE VERY BUSY. 03:06 YOU DIDN'T APPROVE ENTIRELY OF THE CHANGES. 03:15 BECAUSE I FELT THAT THIS WASN'T THE REAL CHANGE THAT WE NEEDED. 03:19 WE DON'T WANT CHANGE FOR CHANGES SAKE. WE WANT A QUALITATIVE SHIFT. 03:23 I GUESS THERE'S A CERTAIN AMOUNT, AS IN MOST GOVERNMENTS, THERE'S CORRUPTION AND PROBLEMS. 03:29 YOU HAVE ALWAYS BEEN A VOICE AGAINST THAT SORT OF THING. 03:32 YES.I'M CERTAINLY FOR INTEGRITY IN GOVERNMENT. 03:50 I COULD RECITE THE WHOLE THING, BUT I KNOW WE CAN DO IT. 03:53 I KNOW WE HAVE THE HUMAN CAPACITY TO DO IT. 04:01 THAT HAVE BROUGHT ABOUT SUCH TREMENDOUS SUFFERING. 04:04 I FEEL THE PALESTINIAN PEOPLE DESERVE IT. THEY DESERVE BETTER. 04:14 WE HAVE TO GIVE CREDIT WHERE CREDIT IS DUE. 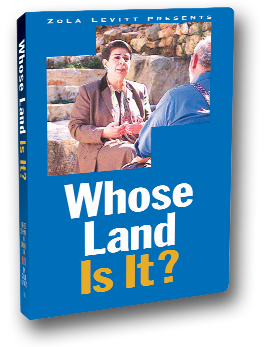 04:17 HANAN ASHRAWI IS ONE OF THE FEW PEOPLE IN THE ARAB WORLD WHO HAS CRITICIZED ARAFAT AND THE PLO FOR CORRUPTION. 04:24 OF COURSE, THERE IS PLENTY OF CORRUPTION TO GO AROUND. 04:37 HAS FOUND ITSELF IN THE COFFERS OF PEOPLE LIKE YASSER ARAFAT IN THEIR SWISS BANK ACCOUNTS. 04:43 SOME ESTIMATE THAT SUM IS IN THE BILLIONS OF DOLLARS. 04:48 ASHRAWI HAS BEEN CRITICAL OF THAT FACT. THAT'S GOOD. 04:54 BUT I THINK SHE'S SOFT PEDALING IT A LITTLE BIT. YOU CAN'T HAVE IT BOTH WAYS. 04:58 YOU CANNOT BUILD A PALESTINIAN FREE STATE ON A FOUNDATION OF CORRUPTION. 05:04 THAT IS WHAT WE HAVE IN YASSER ARAFAT'S PALESTINIAN AUTHORITY. 05:13 THE MONEY ALSO COMES FROM A LONG HISTORY OF NARCO-TERRORISM. 05:17 THE PALESTINIAN AUTHORITY IS DEEPLY INVOLVED IN DRUG TRAFFICKING INTERNATIONALLY. 05:22 THEY'RE INVOLVED IN COUNTERFEITING. 05:27 ASSOCIATE WITH GANGLAND MOB STYLE VIOLENCE. 05:32 THEY SHAKE DOWN THEIR OWN CITIZENS THROUGHOUT THE WEST BANK AND GAZA. 05:37 I'D LIKE TO SEE HANAN ASHRAWI GO A LITTLE BIT FURTHER IN HER CRITICISM OF THAT CORRUPTION. 05:45 YASSER ARAFAT IS AN ASSOCIATE OF YOURS, OF COURSE. 05:49 IT APPEARS HE'S A LITTLE BIT FRAIL AT THIS TIME. IS HIS HEALTH IN GOOD ORDER? 05:53 HIS HEALTH IS FINE, GIVEN HIS AGE. 05:57 HE DOES TAKE CARE OF HIMSELF. HE EATS HEALTHY. HE RESTS ENOUGH. 06:02 BUT HE'S UNDER TREMENDOUS PRESSURE. 06:04 HE'S BETWEEN A ROCK AND A HARD PLACE, LITERALLY. 06:06 AND HE'S FIGHTING ONCE AGAIN FOR HIS OWN SURVIVAL AS WELL AS NATIONAL SURVIVAL. 06:12 SO HE'S IN A VERY DIFFICULT AND PRECARIOUS SITUATION. 06:16 DO YOU THINK HE'LL BE REELECTED IN THIS COMING ELECTION? 06:19 OH YEAH.YOU SEE, PRESIDENT ARAFAT HAS SOMETHING THAT VERY FEW PALESTINIANS HAVE. 06:24 HE HAS A SORT OF SYMBOLIC NATIONAL, HISTORICAL DIMENSION. 06:33 MORE THAN THEY ARE WILLING TO FORGIVE ANYBODY ELSE'S TRESPASSES. 06:36 SO THEY LOOK AT THE CABINET. THEY LOOK AT THE PEOPLE AROUND HIM. 06:40 THEY BLAME THEM. THEY HOLD THEM ACCOUNTABLE. 06:43 BUT SOMEHOW THEY KEEP EXEMPTING ARAFAT FROM THIS TYPE OF INTRUSIVE ACCOUNTABILITY. 06:50 I HEAR HE SPEAKS ARABIC WITH AN EGYPTIAN ACCENT. 06:54 HE IS ORIGINALLY EGYPTIAN AND SOME OBJECT AND SOME TALK. 06:58 NO, HE IS NOT ORIGINALLY EGYPTIAN. 07:01 HE'S PALESTINIAN DEFINITELY, BUT HE SPENT PART OF HIS CHILDHOOD IN EGYPT AND HIS GROWING UP YEARS. 07:07 HE WENT TO COLLEGE IN EGYPT, SO HE HAS THAT EGYPTIAN ACCENT, YES. 07:12 IT'S SOMETHING VERY SUPERFICIAL. YOU DON'T JUDGE PEOPLE BY THEIR ACCENTS. 07:19 HANAN ASHRAWI TALKS ABOUT THE SYMBOLIC NATURE OF YASSER ARAFAT AND THERE CERTAINLY IS A LOT OF SYMBOLISM INVOLVED. 07:26 I WOULD SUGGEST, HOWEVER, THAT IT IS BASED MORE ON MYTH THAN REALITY. 07:35 AND SHE SOFT PEDALS THE IDEA THAT HE'S NOT A PALESTINIAN. 07:38 WELL, THE FACT OF THE MATTER IS HE'S NOT A PALESTINIAN. 07:46 THAT HE WAS BORN IN EGYPT IS VERY IMPORTANT TO UNDERSTAND THE DYNAMIC OF THE PALESTINIAN ISRAELI CRISIS. 07:58 TO UNDERSTAND THE NATURE OF THIS STRUGGLE. 08:07 OR SETTLES IN THAT REGION CAN BE CONSIDERED A PALESTINIAN. 08:19 YOU'RE NOT PLAYING ON AN EVEN PLAYING FIELD BY ANY STRETCH OF THE IMAGINATION. 08:25 THAT IS A FUNDAMENTAL PROBLEM THAT ISRAEL IS DEALING WITH ALL THE TIME. 08:30 THERE ARE MORE ARABS LIVING IN THAT REGION TODAY THEN EVER BEFORE. 08:40 AND THE OPPRESSION EVEN FOR ARABS WITHIN ISRAEL IS SO BAD. 08:49 WHY DO THE ARABS CONTINUE TO MIGRATE FROM EVERY OTHER ARAB COUNTRY IN THE WORLD AND EVEN OTHER MUSLIM COUNTRIES? 09:02 WHO COME FROM CHECHNYA, WHO COME FROM BOSNIA, WHO COME FROM KOSOVO, WHO COME FROM IRAN. 09:07 NOT EVEN ARAB POPULATION, NOT EVEN ARAB PEOPLE AND THEY'RE CONSIDERING THEMSELVES PALESTINIAN. 09:14 THAT IS A REAL PROBLEM THAT WE HAVE AND I THINK THAT'S IT'S ONE THAT IS BEING SOFT PEDALED BY HANAN ASHRAWI. 09:28 IS SYMPATHETIC WITH SADDAM OR WHERE DOES THE GOVERNMENT HERE STAND? 09:33 I THINK THE PALESTINIAN PEOPLE AS A WHOLE ARE SYMPATHETIC TO THE IRAQI PEOPLE. 09:40 THERE IS A SORT OF AFFILIATION AND AN EMPATHY WITH SUFFERING. 09:46 THE IRAQI PEOPLE ARE SUFFERING IN MULTIPLE WAYS. 09:54 AND THEY ARE PAYING THE PRICE OF THE DECISIONS OF THE SADDAM REGIME. 09:58 OF COURSE, YOU WILL FIND SYMPATHY AMONG THE PALESTINIANS AND THE ARAB WORLD. 10:02 I THINK ALL PEOPLE OF CONSCIENCE, THEY DON'T WANT TO SEE INNOCENT PEOPLE SUFFER. 10:06 AT THE SAME TIME I DON'T THINK YOU WOULD FIND ANYBODY WHO SUPPORTS SADDAM, PER SE, NO. 10:11 AS A GOVERNMENT, AS A SYSTEM OF GOVERNMENT, AS A RULER THERE'S NOT MUCH LOVE LOST. 10:18 I THINK SOME OF THE EMOTIONAL MISTAKES OF THE PAST ARE NO LONGER IN EFFECT NOW. 10:31 BECAUSE OF THE SUFFERING THAT THE IRAQI PEOPLE HAVE UNDERGONE. 10:35 WELL, THERE'S MUCH MORE TO IT THAN THAT. 10:50 ARE SUPPORTIVE OF THEM NOW AS THE UNITED STATES IS ON THE PRECIPICE OF ANOTHER WAR WITH IRAQ. 11:03 AND PLO TERRORISM THROUGHOUT HIS REIGN OF TERROR IN IRAQ. 11:21 I'VE BEEN LISTENING TO ZOLA FOR 5 OR 6 YEARS. 11:23 MY MOTHER CALLED AND SAID, "I'M PLANNING A TRIP TO ISRAEL. WOULD YOU LIKE TO GO?" 11:27 I DIDN'T HESITATE. I SAID, "ABSOLUTELY"
11:30 SHE SAID, "DO YOU KNOW ANYWHERE OR HOW TO GET THERE?" 11:31 I SAID, "ABSOLUTELY. LET ME GIVE ZOLA A CALL." 11:34 THIS IS THE MOST SPECIAL PLACE IN THE WORLD.THIS WAS THE PLACE WE WANTED TO BE. 11:38 WE CAN'T IMAGINE THAT WE'RE HERE.IT'S, YOU KNOW, WE JUST CAN'T IMAGINE WE'RE HERE. 11:50 WE STILL CONTINUE OUR TOURS TO JERUSALEM ON OUR NORMAL SCHEDULE. 11:54 THEY ARE GOING ON WITHOUT EVENT. 12:02 DESPITE WHAT THE NEWS, THE WAY THEY COLOR IN WHAT'S GOING ON OVER THERE. 12:10 WHEN WE ALL LIVE THERE IN THE KINGDOM TO COME. 12:27 ON OUR LAST TOUR WE HAD THIS ADVENTURE WHERE WE WENT TO RAMALLAH. 12:31 THAT'S JUST NEAR JERUSALEM, ALMOST A SUBURB. 12:39 A PALESTINIAN AUTHORITY SPOKESPERSON. 12:46 AND JOSEPH FARAH, ARAB-AMERICAN, WELL, ARAB-CHRISTIANS. 12:50 DR. CANER IS NOT AMERICAN. HE'S LEBANESE TO START WITH. 12:54 FARAH WAS RAISED IN AMERICA. THEY COMMENTED ON WHAT SHE SAID. 12:59 PICKING THAT UP AGAIN, HERE'S DR. ASHRAWI. 13:09 ABOUT THE SUICIDE BOMBINGS, YOU SAID THEY ARE COUNTER PRODUCTIVE. 13:14 STILL, THERE IS HERE AND THERE AN INCIDENT. WHAT'S YOU POSITION ON THIS? 13:27 RACE, COLOR, ETHNIC ORIGIN, CREED, RELIGIOUS AFFILIATION. 13:31 THIS IS SOMETHING THAT IS UNACCEPTABLE, MORALLY REPREHENSIBLE AND SHOULD BE STOPPED IMMEDIATELY. 13:43 THE FEELINGS OF THE PERPETRATORS THAT THERE IS NO WAY IN WHICH THAT SHOULD BE ACCEPTED. 13:50 SO, I THINK WE HAVE TO DEAL WITH THIS ISSUE SERIOUSLY AND PUBLICLY. 14:10 YOU DO NOT ADOPT AS A MEANS OF RETALIATION AND REVENGE. 14:21 AGAINST THESE ACTS OF PUBLIC SUICIDE BOMBING. 14:34 BUT ACTUALLY MORALLY SOUND ACTS IN DEFENSE OF WHAT THEY BELIEVE TO BE THE TRUTH. 14:42 THE PEACE PROCESS, SUCH AS IT IS IT HAS ITS UPS AND DOWNS. 14:46 WHAT CHANGES WOULD YOU MAKE AT THIS, WHERE WE ARE NOW, TO MAKE IT GO, TO BRING PEACE? 14:52 WELL, I WISH I WERE IN CONTROL OF ALL THE FACTORS. 14:54 UNFORTUNATELY, I DON'T HAVE THE ABILITY TO REAPPOINT AN ISRAELI GOVERNMENT THAT WOULD BE COMMITTED TO PEACE. 15:15 THINKING THAT MILITARY MIGHT CAN SUBDUE A NATION UNDER OCCUPATION. 15:19 THAT IS ONE ESSENTIAL INGREDIENT. 15:29 IS BRINGING DISASTER DOWN ON BOTH OUR HEADS, ON OUR SIDE AND ON THE ISRAELI SIDE. 15:38 TO BUILD OUR OWN INSTITUTION OF DEMOCRACY AND AT THE SAME TIME TO HAVE 3RD PARTY PARTICIPATION. 15:45 I BELIEVE THIS IS A GLOBAL ENDEAVOR.IT IS NOT BILATERAL. 15:57 AND TO LAUNCH A PEACE PROCESS THAT WOULD HAVE SUBSTANCE, CREDIBILITY AND APPLICABILITY ON THE GROUND. 16:04 AS USUAL, HANAN ASHRAWI BLAMES THE ISRAELIS FOR BEING THE OBSTACLE TO PEACE IN THE MIDDLE EAST. 16:11 OF COURSE, THAT IS TERRIBLY, TERRIBLY UNFAIR. 16:31 WERE NOT WILLING TO NEGOTIATE IN GOOD FAITH AT ALL. 16:34 THEIR REAL OBJECTIVES ARE THE DESTRUCTION OF THE STATE OF ISRAEL. 16:38 NO INTERIM GROUNDS WOULD EVER BE ACCEPTABLE TO THEM. 16:54 ONLY IN WESTERN AUDIENCES IS THAT MESSAGE EVEN DISSEMINATED. 17:06 WHEN A HIGH LEVEL PLO DELEGATION WENT TO HANOI, WENT TO NORTH VIETNAM. 17:21 AND LOOKED AT THE PALESTINIAN MOVEMENT AS A TERRORIST MOVEMENT. 17:26 THE NORTH VIETNAMESE GAVE THEM SOME VERY CANDID ADVICE ABOUT HOW TO DEAL WITH THAT. 17:37 WHICH HAS ALWAYS BEEN THE DESTRUCTION OF ISRAEL. 17:46 AS AN INTERIM STEP THAT WOULD DEFINE THEM THEN, AS A NATIONAL LIBERATION MOVEMENT. 17:56 DEVELOPED WITH THE NORTH VIETNAMESE COMMUNISTS BACK IN 1970. 18:03 WHAT IS THE REAL HISTORY OF THE PALESTINIAN PEOPLE IN THIS LAND? 18:07 WE GO BACK CENTURIES. ACTUALLY, IF YOU WANT, WE GO BACK TO THE CANAANITES. 18:14 THE PALESTINIANS ARE THE LONGEST STANDING, ON GOING, HISTORICAL, HUMAN TRADITION IN PALESTINE. 18:22 OF COURSE, WE ARE ALSO A MIX OF SO MANY TRIBES THAT CAME INTO PALESTINE. 18:28 BUT THOSE OF US, I MEAN MY FAMILY HAS BEEN HERE FOR CENTURIES. 18:32 MOST PEOPLE TRACE THEIR FAMILIES CENTURIES AND THOUSANDS OF YEARS. 18:36 IT'S AMAZING FOR PEOPLE TO TELL US YOU'RE AN ACCIDENT OF HISTORY OR THIS LAND THAT'S YOUR LAND. 18:49 THIS LAND HAS TO BE GIVEN AWAY IN ACCORDANCE WITH THE BIBLE OR SOMETHING. 18:53 IF YOU REORGANIZE THE WORLD IN ACCORDANCE WITH THE BIBLE, YOU'D BE IN SERIOUS TROUBLE. 18:59 THERE ARE 3 FUNDAMENTAL POINTS THAT I THINK ARE NECESSARY TO MAKE HERE, HISTORICALLY. 19:03 NUMBER ONE IS THE LUDICROUS STATEMENT ABOUT A PALESTINIAN NATION. 19:07 THERE HAS NEVER IN THE HISTORY OF CIVILIZATION BEEN A PALESTINIAN NATION - EVER. 19:13 THE HUMAN CRY FOR A PALESTINIAN STATE DID NOT EVEN BEGIN UNTIL 1948 WHEN ISRAEL BECAME A NATION ITSELF. 19:23 I BELIEVE THE PALESTINIANS SHOULD HAVE AS MUCH LAND AS THEY HAVE EVER HAD HISTORICALLY, WHICH, OF COURSE, IS NONE. 19:34 SHE SHOULD UNDERSTAND THAT GOD MADE A COVENANT WITH ISRAEL. THIS IS FUNDAMENTALLY IMPORTANT. 19:41 THE LAND WAS GIVEN BY GOD TO THE JEWS. 19:44 AS A PALESTINIAN-CHRISTIAN, SHE MUST KNOW HER OLD TESTAMENT ON THIS. 19:55 WHY HAS NOT ONE ARAB NATION OFFERED A PARCEL OF THEIR LAND TO GIVE TO THE PALESTINIANS? 20:06 AS MUCH AS IT IS FOR TAKING AWAY A NATION FROM ISRAEL. 20:18 AND THOSE KINDS OF THINGS AND I GIVE HER HIGH MARKS FOR SINCERITY. 20:36 OF HUMANITY IN THAT REGION OF THE WORLD, AGAIN, SHE LOSES ME. 20:41 WHAT WE NEED TO DO, WE DON'T NEED TO GO BACK THOUSANDS OF YEARS TO SEE WHO'S BEEN LIVING IN THAT PART OF THE WORLD. 20:48 WE CAN GO BACK TO THE TURN OF THE 20TH CENTURY AND LOOK AT WHAT THE POPULATION LEVELS WERE. 21:03 THE MAJORITY OF THE POPULATION IN JERUSALEM, THE OVERWHELMING POPULATION IN JERUSALEM WAS JEWISH. 21:10 THE SECOND HIGHEST POPULATION LEVEL WAS AMONG CHRISTIAN-ARABS. 21:22 ACTUALLY WERE A VERY SMALL MINORITY OF ABOUT 10 PERCENT OF THE POPULATION. 21:28 IT'S VERY HARD FOR ME TO LOOK AT WHAT HANAN ASHRAWI SAYS ABOUT THIS LONG STANDING TRADITION IN THE REGION. 21:45 AND THEY CAME FOR 2 PRINCIPLE REASONS. 21:54 INTERESTINGLY ENOUGH, BECAUSE OF THE FREEDOM THE JEWS BROUGHT WITH THEM. 22:04 SINCE YOU BRING UP THE BIBLE. WHAT IS THE HISTORY OF THE JEWS IN THE LAND? 22:09 BECAUSE THEY WOULD HOLD THAT THE JEWS HAVE BEEN HERE SINCE THE CANAANITES, AS WELL. 22:12 THE JEWS CAME AND WENT IN MANY WAYS AND THEY WERE PART OF THE PLURALISM AND THE DIVERSITY OF THIS CULTURE. 22:19 OF COURSE, THERE WERE MANY JEWS WHO STAYED, BUT IT HASN'T BEEN A JEWISH STATE SO TO SPEAK. 22:24 IT'S BEEN AN ARAB STATE FOR CENTURIES. 22:31 WE GO BACK TO THE EARLIEST CHRISTIAN TRADITION. 22:44 WHICH AFTER ALL IS A MIDDLE-EASTERN RELIGION. 22:48 WE PRACTICE IT.WE EXERCISE IT. WE LIVE IT AS A LIVING CULTURE. 22:54 IT IS PART OF OUR IDENTITY. IT IS MY HISTORY. IT IS MY CULTURE. 22:58 IT IS PART OF MY AUTHENTICITY IN THE WAY AS THE LAND IS MY HISTORY AND MY CULTURE. 23:11 AND OF COURSE,THE BIRTH OF THE 3 MONOTHEISTIC RELIGIONS. 23:15 SO, THAT GIVES IT ADDITIONAL VALUE AND SPIRITUALITY. 23:27 OF THIS PLURALISM AND TOLERANCE AND DIVERSITY. 23:40 AND YOU EXPEL THE RIGHTFUL PEOPLE OF THE LAND IN ORDER TO RECLAIM. 23:46 AND YOU BRING IN PEOPLE FROM ALL OVER THE WORLD, THINKING THAT THIS IS YOUR BIRTHRIGHT WHEN WE HAVE LAND DEEDS. 23:51 WE HAVE HISTORY. WE HAVE ONGOING REALITY THAT TELLS YOU THIS IS OURS. 23:56 IT'S NOT A QUESTION OF GREED, IT'S A QUESTION OF CONTINUITY. 24:00 IT'S A QUESTION OF A LONG STANDING, ANCIENT CULTURE. 24:04 WE ARE PROUD OF OUR HERITAGE. WE ARE A PROUD NATION AFTER ALL. 24:08 WE WILL NOT BE DISLODGED OR DISPOSSESSED. 24:26 AND WE CERTAINLY ARE A STATIONARY PEOPLE. 24:29 OUR METAPHOR IS VERY ORGANIC. WE ARE DEEP ROOTED. 24:40 WHEN YOU UPROOT A NATION, YOU ROB IT OF ALL ITS SENSE OF SECURITY, OF ITS IDENTITY, OF ITS COMMUNITY. 24:49 THIS IS THE WORST TRAGEDY THAT CAN BEFALL A NATION. 24:53 THIS IS WHAT HAPPENED TO THE PALESTINIANS. 24:59 THEY MUST TO HAVE ONE TIME BEEN LODGED AND HAVE POSSESSED THE LAND. 25:03 AGAIN, THEY DIDN'T CLAIM LAND OR STATEHOOD BEFORE 1948. IT IS ONLY NOW AFTER. 25:09 WHAT YOU HAVE IS THE ARAB WORLD HAS ONE COMMON ENEMY, ONE COMMON GOAL. 25:13 THAT IS THE COMPLETE ANNIHILATION AND DISPOSSESSION OF ISRAEL. 25:20 NOT EVERYTHING IN RAMALLAH WAS A PEACEFUL CONVERSATION. 25:24 WE CROSSED A VERY TENSE BORDER WITH A LOT OF SOLDIERS. 25:29 IT'S LIKE TWO COUNTRIES AT WAR ALMOST WHEN YOU COME TO A PLACE LIKE THAT. 25:35 WE LOOKED AT ARAFAT'S HEADQUARTERS, OR WHAT'S LEFT OF THEM. 25:38 THE NEWS HAS NOT DONE JUSTICE TO WHAT'S HAPPENED THERE. WE GOT OUR OWN FOOTAGE ON THAT. 25:51 AND THE COMMENTARY BY DR. CANER AND BY JOSEPH FARAH. 25:57 I SHOULD GIVE MRS. ASHRAWI HER DUE. 25:58 SHE ALSO HOLDS A DOCTORATE. SHE TAUGHT AT UNIVERSITY OF VIRGINIA. 26:05 THIS WAS AN INTERVIEW WHERE I RECEIVED INFORMATION I DIDN'T KNOW. 26:15 I WILL STEP ASIDE AND NOT BE THE COMMENTATOR. 26:31 KNOWLEDGEABLE ON THE MIDDLE-EAST AND SO ON. 26:34 IT'S NOT A MATTER OF OPINION WHEN IT COMES TO THE HISTORY OR THE FACTS. 26:40 THERE IS SOME OPINION IN ANY INTERVIEW, BUT WE HAD THEM LOOK AT ALL OF WHAT SHE SAID AND COMMENT ACCORDINGLY. 26:49 YOU BE THE JUDGE. WE DID NOT SENSOR ANYTHING THAT SHE SAID. 26:55 WE'VE ONLY EDITED FOR TIME CONSIDERATIONS, NOT FOR CONTENT. 27:01 YOU'RE GETTING HER FULL TESTIMONY AND THEN THE REPLIES BY OUR EXPERTS. 27:06 SO JOIN US AGAIN NEXT WEEK. WE'LL CONTINUE THIS. 27:12 SHA'ALU SHALOM YERUSHALAYIM, PRAY FOR THE PEACE OF JERUSALEM.